American reality show Labor Games takes viewers where no other game show has dared (with good reason) to go before – into the delivery room. And we don’t know whether to laugh or cry. If The Price is Right and One Born Every Minute had a love child, Labor Games would be it. TLC is infamous for their rather absurd reality TV programs such as Toddlers & Tiaras, Here Comes Honey Boo-Boo and My Husband is Not Gay. 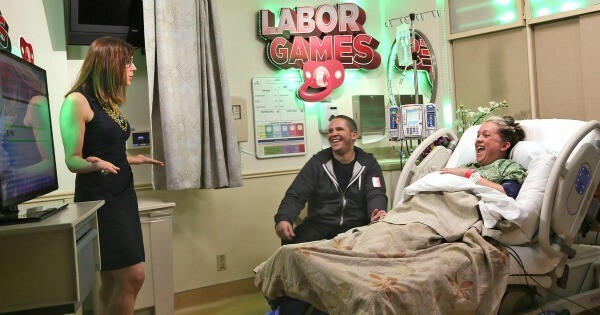 But Labor Games is the first program to bring the game show element to the delivery room. And with as much tact and grace as a giant elephant, might I add. 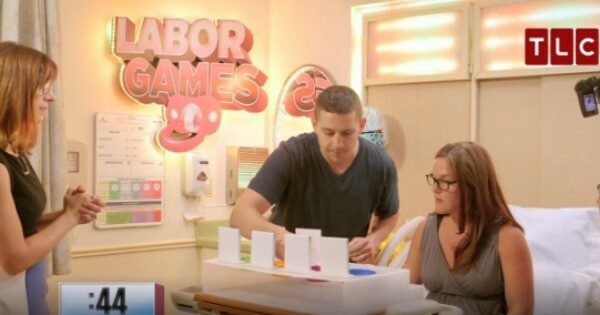 Labor Games literally transforms the birthing process into a game show. Unsuspecting couples in the delivery ward have the chance to win thousands of dollars in prizes if they agree to take part in the various challenges. All they have to do is answer a few questions in between contractions and agree to have their birthing suite transformed into a glitzy game show stage, complete with flashing lights and tacky signs. Plus, there is the camera and game show host, Lisa Arch, in their faces the entire time. What could be more fun? And more inappropriate? The challenges are aimed to test the contestants’ parenting skills. In one of the segments the father-to-be has to identify different types of baby food by taste. Another challenge asks the couple to name a teething remedy that is not recommended by Parenting.com. What is even more baffling is that the contestants seem excited to be playing along. They are happy to answer the host’s probing questions, even midway through a contraction. At four centimetres dilated I would have probably thrown the baby food at the wall. Or at that hideous glowing red sign. Labor Games premiered on TLC last week so only time will tell what the viewers think. What do you think? Is this the most ridiculous game you have ever seen? Or would playing games during labour make the process a little more fun? If you’re in the latter category, you might want to check out our post on 11 ways to make early labour just a little less painful.